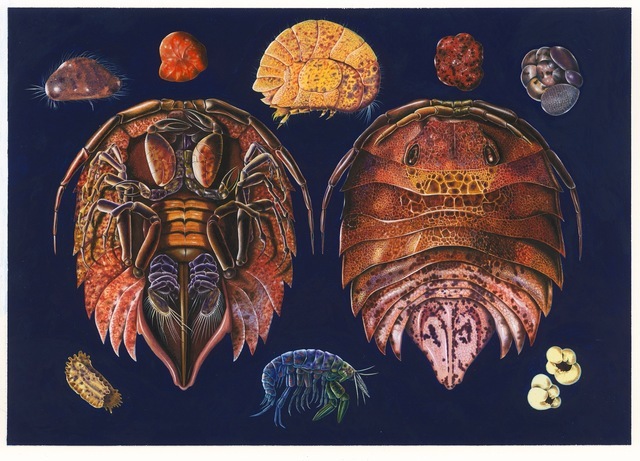 Species shown are representative Formanifera, possible genus Cibicidodes and Crustacea; planktonic Copepods and Isopods. Possible prehistoric origin; provenance unknown. These are to be the first published illustrations of specimens analysed by microscope and separated from particles taken from a sea-bed fauna bearing ecosystem of the North Atlantic.